Lots of curious visitors in the garden this week. 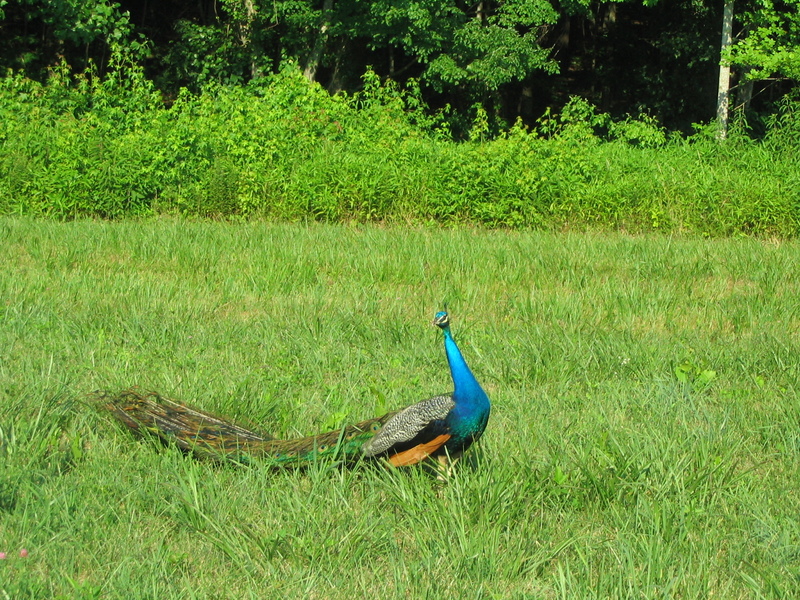 Our neighbor’s peacock wandered over (from a half mile away) and was checking things out. 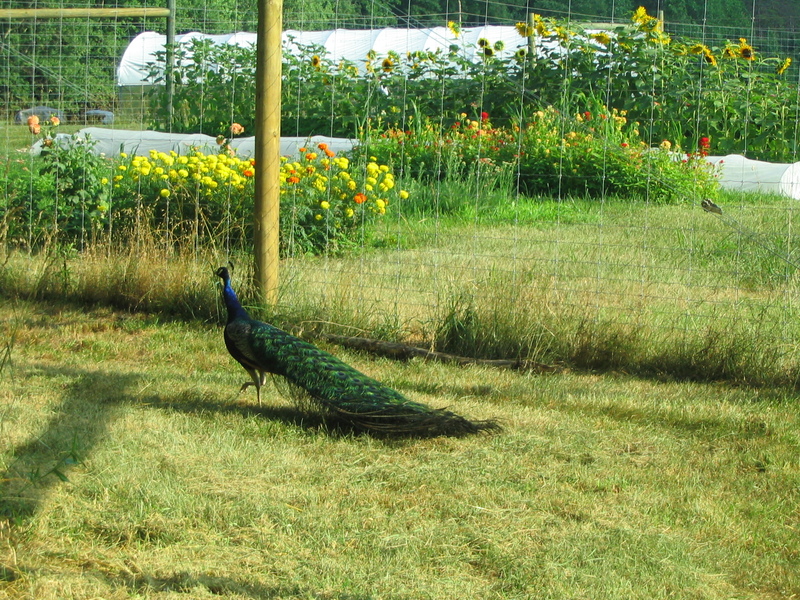 It wanted to get into the garden, and walked all the way around the fence. Some visitors were less welcome. I left the gate open one night while we had dinner, and a baby deer wandered in. 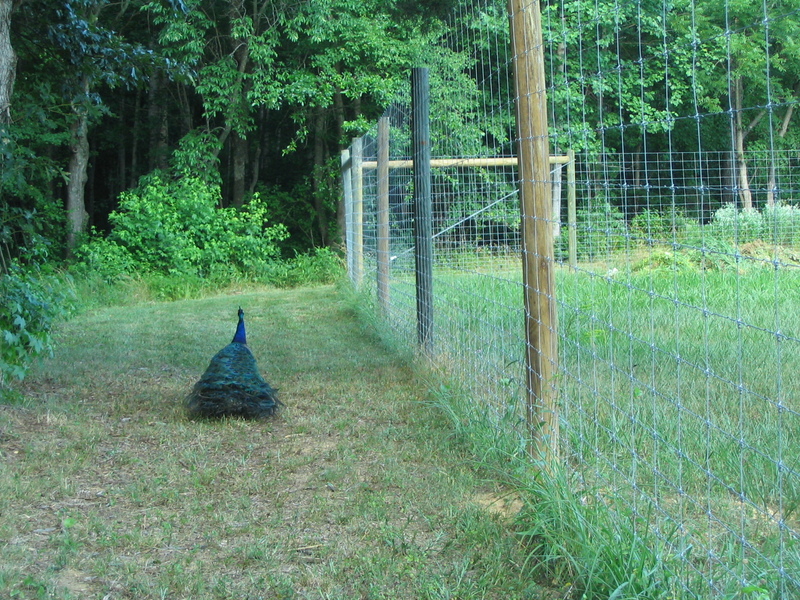 We tried to herd it out through one of the gates, but to our astonishment, it jumped and (just barely) slid through one of the spaces in the fence wire. 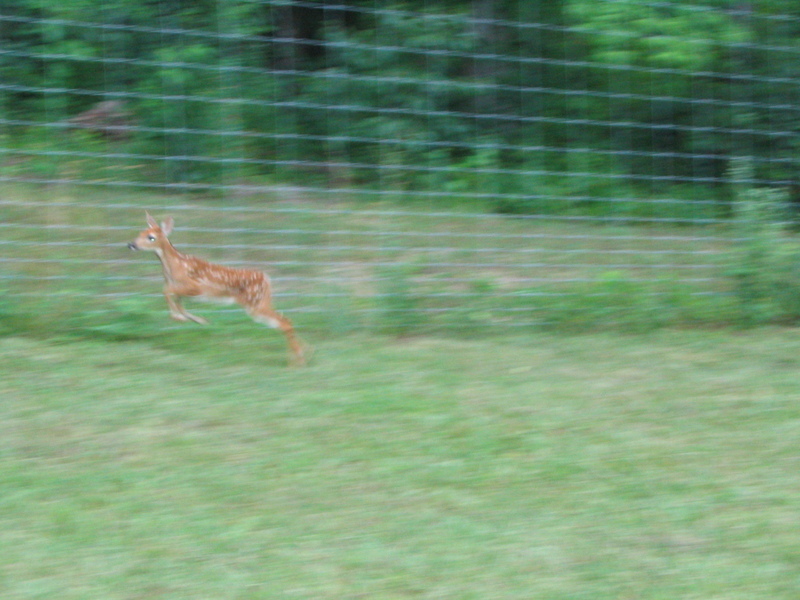 So, I guess baby deer CAN get through the deer fence. Another week though and I don’t think he’d fit through. 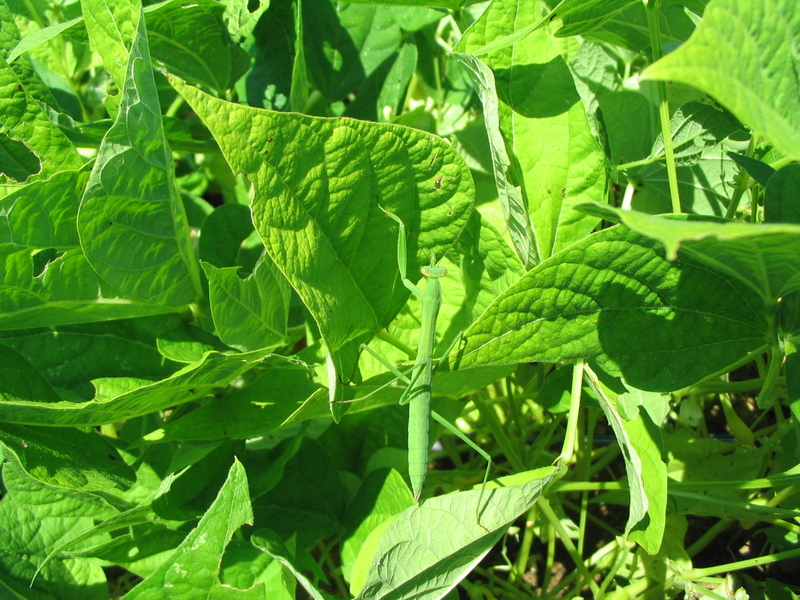 This predatory praying mantis was stalking bugs in the beans. We’ve been amazed at the insect activity this year: the garden seems to be in balance in terms of populations. No major infestations yet. 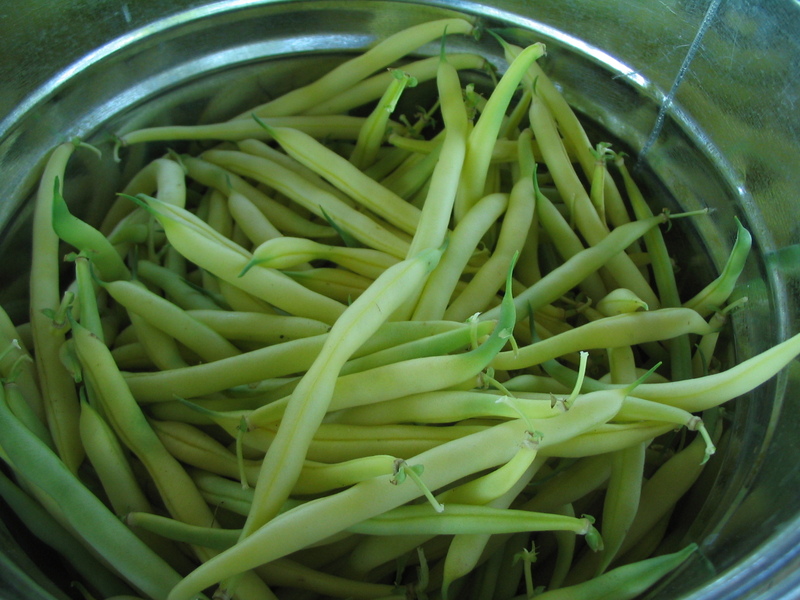 The wax bean harvest has been less than expected; a rabbit was helping himself to the young beans and bean plants. 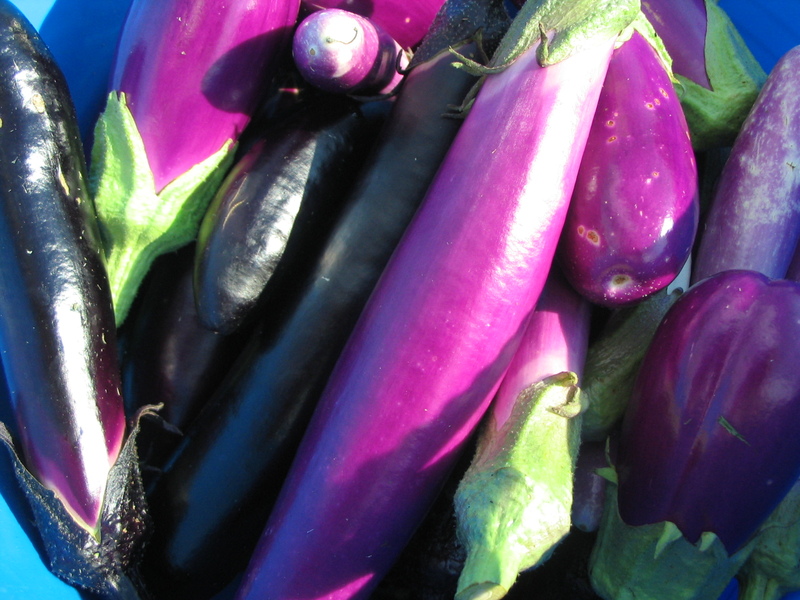 We’ll have eggplant, salad mix, herbs, and flowers at market this week. Gavin picked some green peppers, poblanos, biscayne peppers, and jalapenos. A few of the first slicing tomatoes, lots of cherry tomatoes, and some Rose Finn Apple fingerling potatoes, along with the Chieftan and Keuka Gold. Cucumbers, kale, turnips, okra, and some wax beans. Lots of variety!